Professional Learning Board has been delivering high quality professional development at affordable prices to America’s teachers for years. Whether you are looking to earn clock hours to meet your continuing education and license requirements or seeking to advance your graduate studies learning from master practitioners, professional development courses from Professional Learning Board offer convenient online access and model best practices in content, pedagogy and online technology. as well as recommend us to their peers. PLB is focused on providing America’s teachers the best in online professional development and continuing education opportunities. 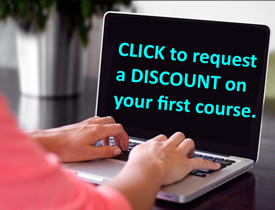 We work with content experts to create online courses that meet your professional needs while fitting your busy schedule and respecting your budget. PLB offers a growing catalog of courses relevant to your teaching practice and today’s students available in self-study, instructor facilitated and graduate credit options to best meet your needs. Click here to view our course catalog and start searching for online courses to renew a license in your state.